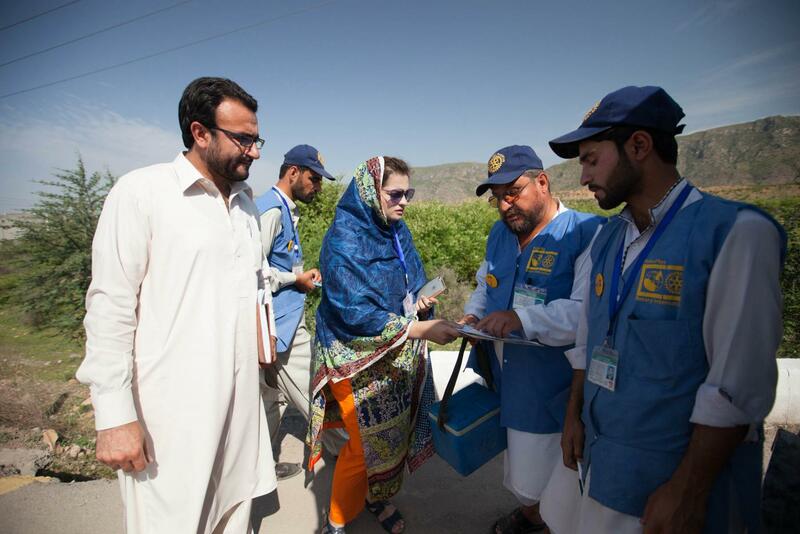 Dr. Palwasha, centre, prepares her vaccination team for the Toll Plaza activity in Kohat, Pakistan, one of the busiest PTP’s in Khyber Pakhtunkhwa. Each vaccination team has three members. Disease results in misery, pain, and poverty for millions of people worldwide. That’s why treating and preventing disease is so important to us. We lead efforts both large and small. We set up temporary clinics, blood donation centres, and training facilities in underserved communities struggling with outbreaks and health care access. We design and build infrastructure that allows doctors, patients, and governments to work together.